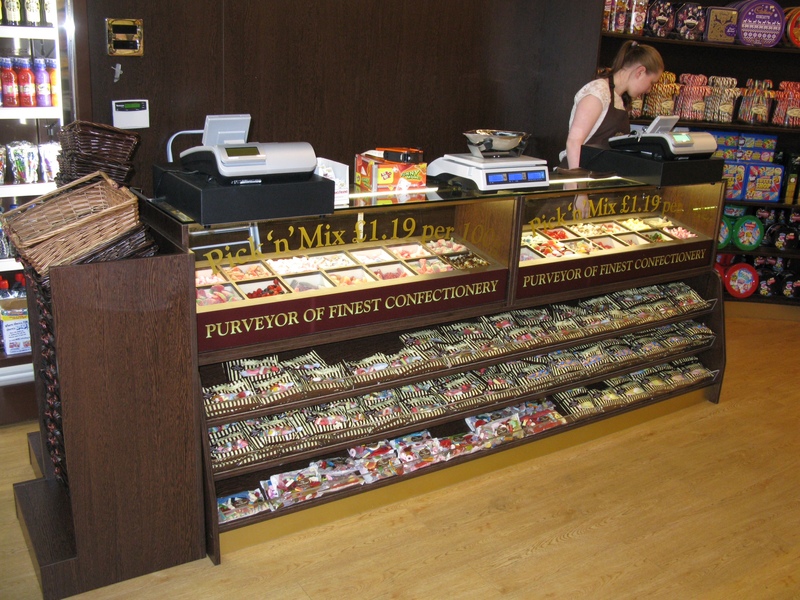 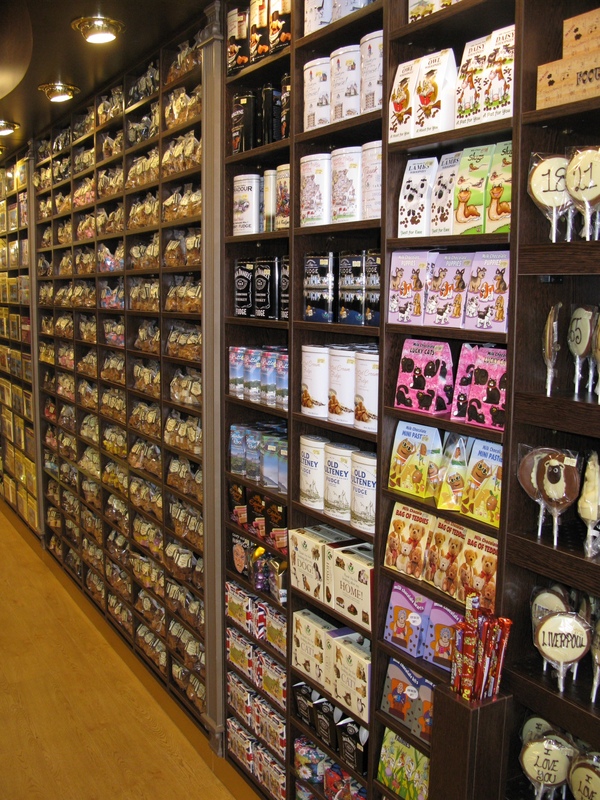 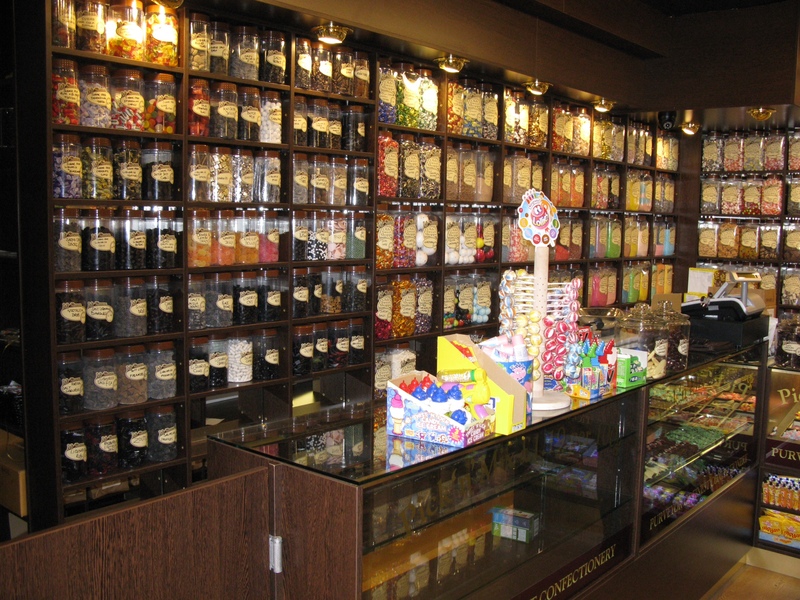 The client on this Mr Simms, Olde Fashion Sweet Shop already had other sites but wanted this one to be a flagship store. 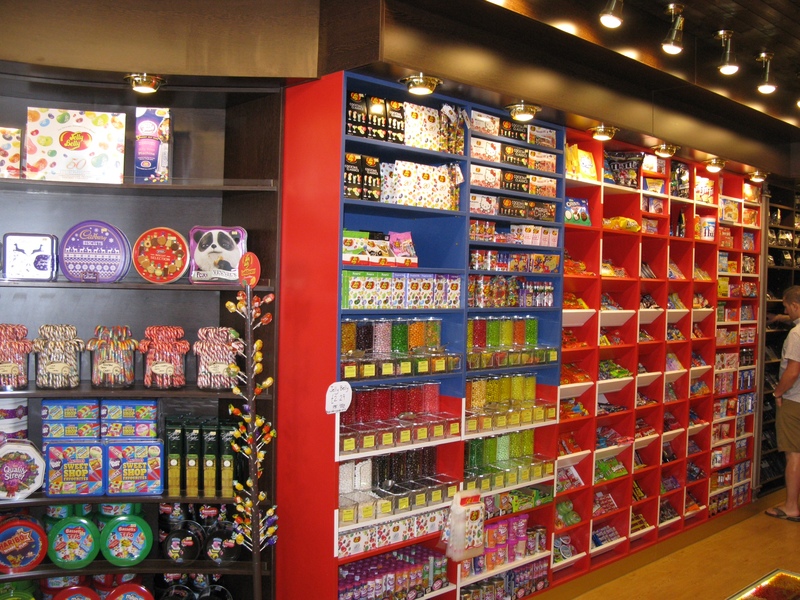 We created some fantastic designs and turned them into reality. 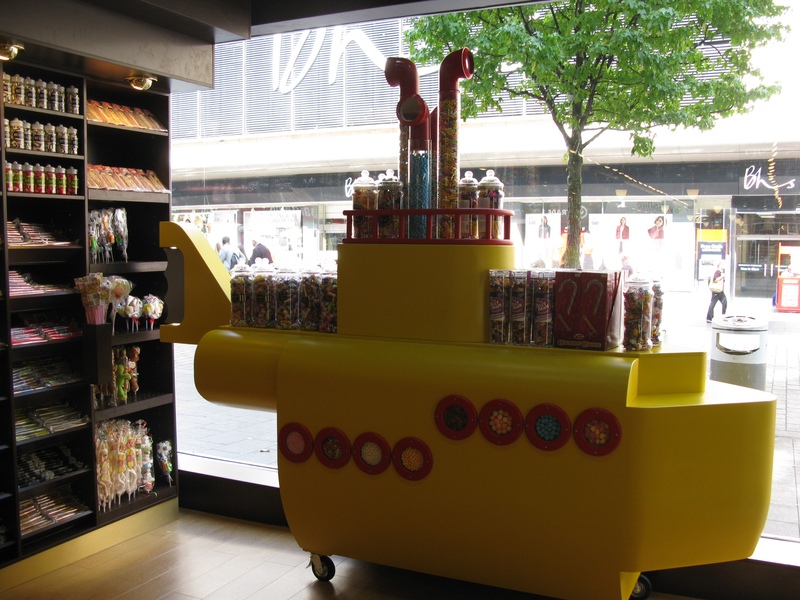 For example a 7ft Candy filled yellow submarine, glass floor with illuminated “pic n mix” candy displays and TV displays with rock making video on a loop. 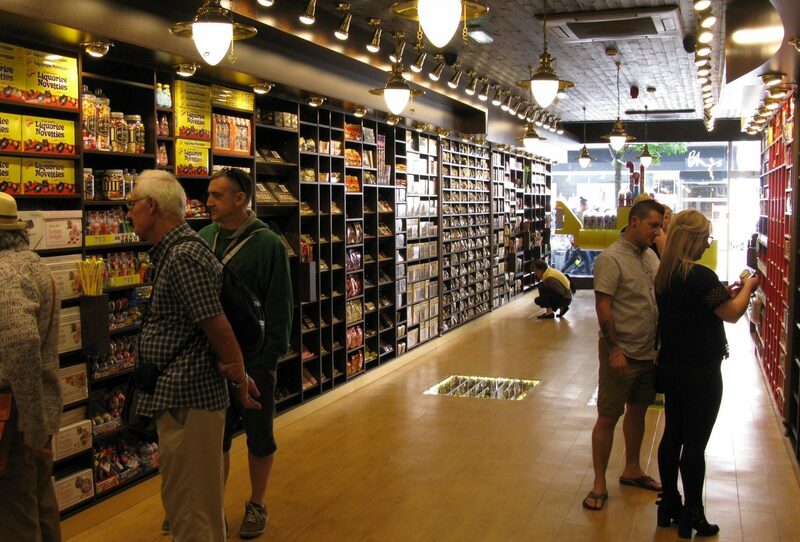 The whole fit out was totally bespoke and the finished product was a unique, bright fun filled, and interesting store.